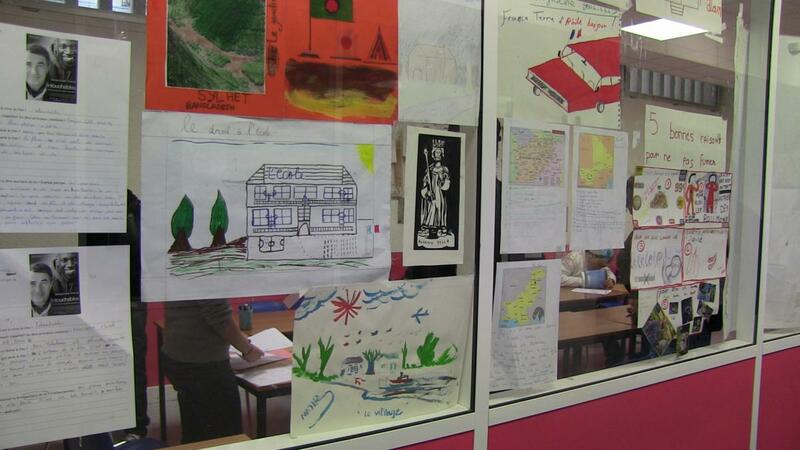 There are drawings of houses and families on the walls, charts of French verbs, times tables and geometry charts. There are neat rows of desks, whiteboards, old-fashioned globes and boxes of pencils. There is colourful student artwork everywhere. It could be any primary school - perhaps one that's rather short of resources - but here the students being drilled in basic French grammar are mostly 16 or 17, and they're chatting amongst themselves in Dari, Pashto and Hausa. There are hand drawn flags from around the world, and a big global map covered in pins, with particularly thick forests in Afghanistan and west Africa. They mark where the 300 or so students that take classes here have come from. 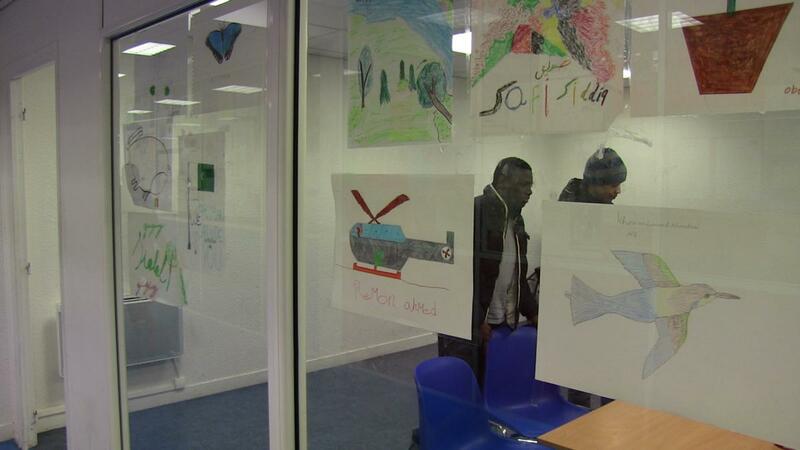 This is the Maison du Jeune Refugié in northern Paris, run by the NGO France Terre d'Asile, and all these young people have found themselves alone in France, with no family here that can be traced. Most were found sleeping on the streets by the charity's teams, especially around the nearby canal where rough sleepers congregate. Steve (all names have been changed, and faces hidden) is from Guinea-Conakry, where ethnic violence broke out after a disputed election just over a year ago, adding danger to grinding poverty. He came to France with an uncle after his parents died, but then the uncle kicked him out after a row, alone, knowing no-one else in France and with no idea of where to go. He spent two nights sleeping by the canal, not eating anything for two days, before France Terre d'Asile picked him up. That was 10 months ago, and he now has a bed in a Salvation Army shelter and is studying an apprenticeship in the building trade. He says life in France has been difficult to adapt to, especially the cold and being so far from everything he knows, but he's trying to make the best of it. He is 16. James is from Ivory Coast, and decided to leave during the violence that followed last year's disputed presidential election there (about 3000 people died after outgoing President Laurent Gbagbo refused to hand over power). He says he's always dreamed of moving to France since he learnt about it in primary school (all these countries are of course former French colonies), because his teacher said that in France there was no conflict, and young people had the chance to become anything they liked. His father died when he was a baby, his mother last year. He travelled with another boy from the same village, paying his family savings to a trafficker for plane tickets to Morocco and false documents, and then crossing the Mediterranean on an overcrowded boat to Spain. Spain, he says, was much worse than here - he slept on a concrete floor in a cold hangar with dozens of other migrants, and was beaten up by police officers. He smuggled himself onto a train to Paris, because he hoped to find cousins here, but with no address or phone number he hasn't managed to track them down. He slept on the street for four nights, in December, and has been at France Terre d'Asile since. He too is studying, but says it's maddeningly frustrating not be able to earn his own money; he says that in Ivory Coast he had worked since he was 10. He is 17. 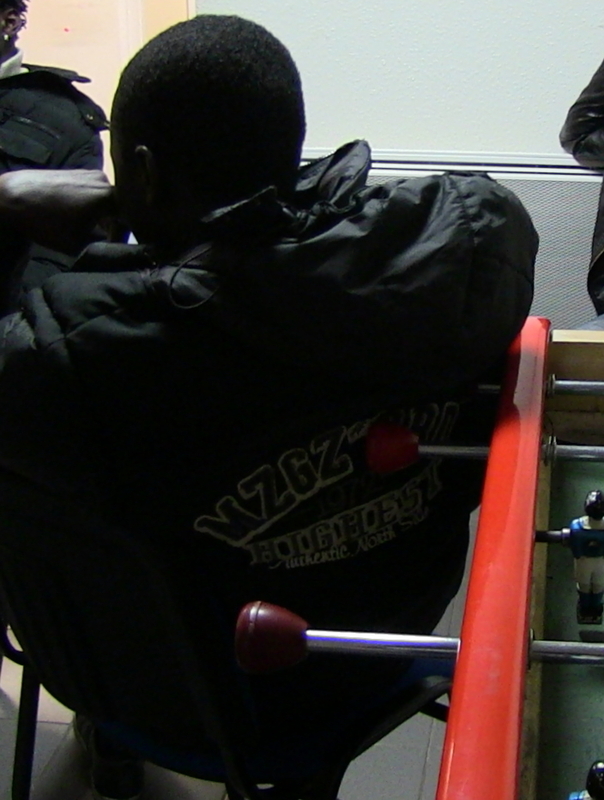 Omar is the most articulate and talkative in this little group playing pool in the stairwell that passes as a games room, and he too is frustrated - by the months he has been waiting for papers so he can stay legally in France. He's also from Ivory Coast and travelled here with an older man from his village who he says had promised him work and somewhere to live, and who he trusted because he had already helped lots of people he knew to come to France, but who abandoned him to sleep on the streets as soon as they arrived. Once these children have been picked up by France Terre d'Asile's teams, they are found somewhere to sleep and given schooling in French, literacy and numeracy, but they're also stuck in a legal limbo. If they are under 18, the state has a responsibility to protect them, but their age is often in doubt; the authorities apply a hundred-year old test based on the growth of certain bones that doctors admit has a margin of error of about 10 months in adolescent boys. France Terre d'Asile director Pierre Henry says the NGO is furiously campaigning for it to be replaced with something more accurate. Once they've been accepted as minors, many only have a few months before they turn 18 and can thus be eligible for deportation by the French authorities. The NGO tries to have their applications processed as quickly as possible - many are eligible to apply for refugee status - but bureaucratic delays mean many spend months waiting to find out if a judge has decided if they can stay. For Omar, this waiting is the worst part, because at least in Ivory Coast he felt he could decide what to do tomorrow, he says - now he can only wait. The centre's director Julien Mache tells me that's probably the worst of the problems these young people have once they've been given somewhere to live; a frustration, an ennui, a sense of no longer being the actors in their own destiny, a loss of identity, he says. Many have travelled long distances alone, overland from Afghanistan for example, and developed an extraordinary maturity and capacity for resilience most of us find hard to imagine. After that experience, they resent being put in classes and treated like children, and above all they resent the wait for paperwork. That's more psychologically distressing, he says, than being separated from their families, cultural isolation or traumatic memories, and pushes his charges into depression and drug use, because they're no longer in control of their lives. Many of them have great responsibilities to fulfil; they've been sent by families who have scraped together life savings or got themselves into huge debt to send a son abroad, and they have a strong sense of duty. For some, that means needing to pay off a trafficker who can track them down in Paris; more often, it means leaving a safe haven here to continue a seemingly endless journey to meet distant relatives in Britain and Scandinavia, whom they may never be able to find. Henry tells me very few of the young people his association works with have chosen to leave home on their own, meaning they're carrying all the hopes of an extended family with them. It's no wonder they're keen to start working and earning money as soon as possible - after all, that's why they came - and they find the limbo hard to deal with. 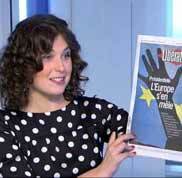 Where does the French state stand in all this, then? Pierre Henry says local authorities don't fulfil their legal responsibilities, basically passing the buck - areas that have international airports or big cities don't see why they should have to pay for looking after all these extra children, and demand federal government help that never arrives. The charity can apply pressure to get cases processed faster, but they can't change the political climate, Henry says, and it certainly isn't one in which refugee children are a top, or an uncontroversial, spending priority. France at least doesn't try to deport children - unlike some EU countries, including the UK, who have signed up to a scheme aiming to return them to their families, with fixed annual targets for returns. Back home, of course, they may well not be welcome, if the family can be traced at all. In order to stay in France after their 18th birthday, though, they must prove they can speak French and are in education, alongside a fair amount of sheer luck in negotiating the tangled system. Henry admits that despite France Terre d'Asile's best efforts, dozens are simply lost every year, disappearing from the public record over fears they will be deported. The energy, motivation and drive of some of the young people I met are overwhelming, though, despite the legal and practical challenges they face. I'm sure that's partly due to the support and confidence building they've had from France Terre d'Asile, but Mache says those of his charges who attend mainstream schools improve standards for the whole class because they're so motivated. He also describes the experience of being young and alone in a foreign country as 'Darwinian' - the naturally toughest and most resilient do well, weaker ones less so. What these young people - some as young as 13 - have been through is inconceivable to most of us, but France is responsible for what happens to them next, and it's time, as Pierre Henry put it to me, for France to step up to that responsibility. Hi, We have just moved back to Canada from France We spent 6 years, and we still have a falimy property in the Charente. If they need any help point them in my direction.